Wedding gifts are tricky. How much money should you spend? Should you deviate from the registry, or is that deserving of a place in purgatory? There are so many theoretical potholes that you can fall into if you’re not careful. However, don’t let the stress of picking a gift for that special couple cripple you to the point of just hurriedly writing them a check. Here are 6 tips on how to shop for the perfect wedding gift. The couple have gone through all that trouble to compile a list for you for a reason. 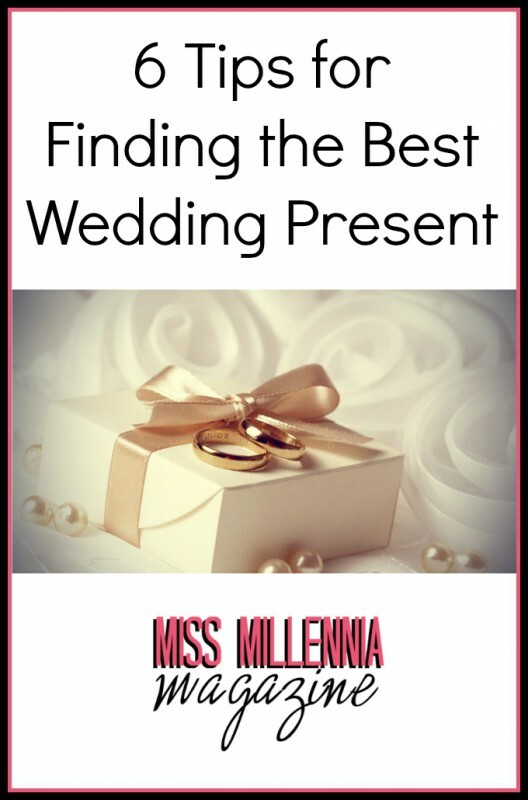 The bride and groom have gone through hundreds of items and picked things that they know they will want/need for their new life. Don’t turn your nose up at their choices; if they asked for bed-sheets and china, then that’s what they want. You wouldn’t want someone scoffing at your choices for gifts, would you? Plus, for those of us who are not always creative and spontaneous, a registry is heaven-sent. It takes the struggle out of trying to come up with something thoughtful when it’s possible you barely know the couple. I recently graduated college at a university where a lot of students get married. I’ve been to a dozen or so of those weddings in the last four years. The difference between a college marriage and the regular sort is that college couples need—and may only want—one thing. They’re poor. They’re paying for tuition, housing, food, etc. Additionally, if they have to travel back to school from the wedding, a truckload of gifts isn’t very convenient in their ’96 Corolla junker. I’m in my early twenties and poor as dirt. Unfortunately, it seems as if all of my friends are getting married at the same time. Sometimes I feel like I’m squeezing the last bits of life from my savings account because I’m trying to be generous. But how do you know when enough is enough? Many people struggle with knowing how much money to spend on a gift, or how much to write on a check for the bride and groom. According to the CBS news article “Wedding Gift Etiquette: What to Give and How Much”, it is suggested that a casual acquaintance garners a gift (either of money or physical form) equaling about $75-100; if you are family or a close friend, $100-125. Even a gift card to a favorite store is helpful. However, you should never feel uncomfortable with your gift. If you cannot afford $125 dollars, then don’t strain yourself to give that much—the bride and groom will understand and be grateful for your gift either way. Plus, you don’t want to be resentful towards them by feeling put out. Perhaps you’re the type of person who thinks registries are stale and impersonal? Maybe you could try thinking outside of the box. What is a favorite hobby of the groom? Is he into antique guitars? Then prowl your nearby pawn shop for one. What’s something the bride told you she wanted, but in secret? Maybe she’s obsessed with One Direction and hasn’t told a soul outside you and her future husband. An autographed picture would go leagues beyond silver candlesticks in that bride’s eyes. Think creatively and you could really make their wedding dreams come true with something thoughtful and personal. With many people getting married in their 20’s and 30’s, you as a newlywed might find it economical and convenient to simply re-gift one of your gifts; perhaps it’s a duplicate or something you just don’t see you or the hubby using (insert limited edition Rosie the Riveter bookends). With so many items untouched and even unopened, it’s a great way to share the wealth. However, while this method has value, let me lend a word of caution. My mother thought this would be a good idea. Months after she got married, her friend became engaged and at her wedding reception, my mom presented a crystal desert bowl. When her friend opened the present, she asked “Did you give me two cards?” She had forgotten to remove the card from the person who gave the gift to her in the first place! 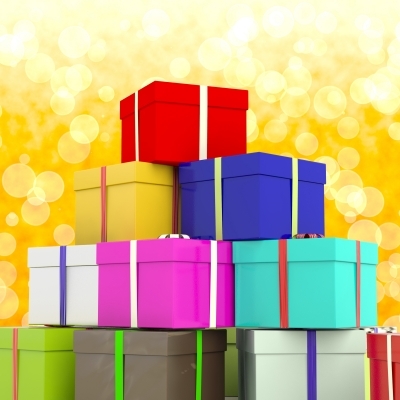 If you want to avoid a similar mistake, carefully check the gift for anything that proves it is a re-gift. Each situation is different when it comes to wedding gift shopping, and so are the people involved. Use these tips to figure out what works best for you and the happy couple. But remember that your gift should reflect the love and support you feel towards the bride and groom because, at the end of the day, your friendship with them is what really matters.